Before I took my Shahadah, I played with the idea of covering my head quite a bit. I didnt know how to wrap so I just tried anyway. My family (I lived with them at the time) did not know my intentions to become Muslim. Mash'Allah. I took a pashmina and wrapped it as best as I could, using youtube videos as a guide. Alhamdulillah! I went to a local store and put the pashmina on in my truck and walked into the store. Mash'Allah! I noticed how people looked at me and I realized that it was not about the way I had wrapped, it was the fact that I was covered and sort of an oddity. Alhamdulillah (a stranger!!!!). From that point, I located a local garb shop and asked the sister that owns it to show me how to wrap and Alhamdulillah, she showed me! From that point I have learned different styles. I did not really like the overgarments...so I supplimented some of my wardrobe and used the maxi dresses that I had with cardigans to cover my arms. 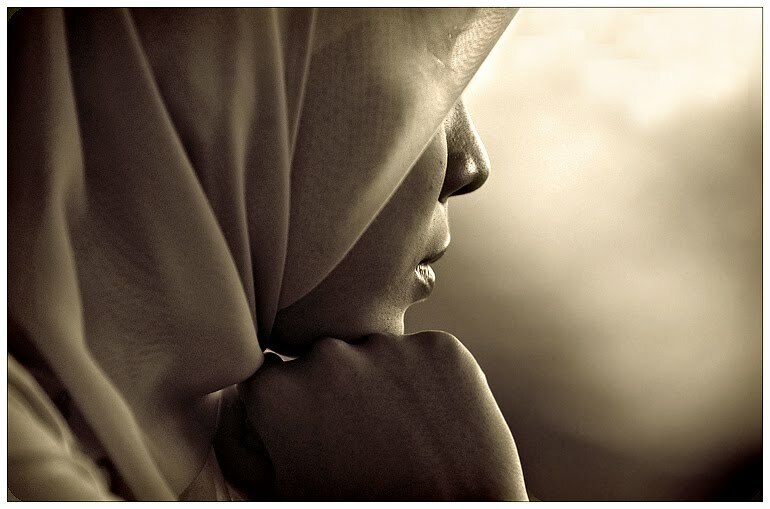 I had to find my own sense of style within hijab...I was quite unsure at first, Mash'Allah...but now I would not know what to do without my hijab! Alhamdulillah!